How much is my old map worth? Humans have been studying cartography, or map-making, for millennia. Some of the earliest examples of maps can be found in the Lascaux Caves in Southern France, where arrangements of small painted dots depict clusters of stars that could be used for navigation. The ancient Babylonians were the first to make maps portable, with engraved clay tablets that demonstrate well-developed surveying techniques and the knowledge of cardinal directions, and the Chinese were the first to refer to a ‘map’ in the 3rd Century BC. 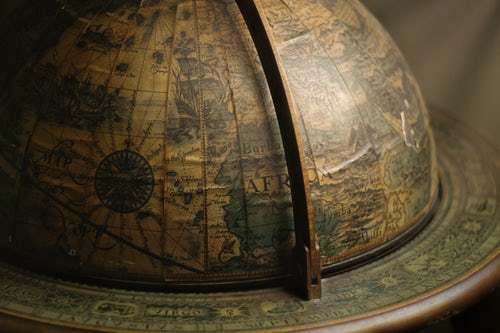 While auction house giants like Christie’s and Sotheby’s do sell the occasional antique map, the majority of the trade is handled by smaller auction houses that specialize in works on paper, or even more specifically in maps, globes and atlases. If you would like to know the current market value of your old map, the cartography experts at Mearto can provide you with an appraisal within 24 or 48 hours, using comparable results from recent auctions. What influences the value of an old map? Though age is certainly an important factor, it is not the only consideration when determining the value of an antique map, globe or atlas. As previously mentioned, the most expensive map ever sold was originally printed in 1784. Maps printed in the 1500s can be acquired for thousands or even hundreds of dollars. Other qualities to consider include: rarity, size, decoration, depiction, historical importance and condition. Collector interests can shift over time and depend on the region in which the map is being sold. Demand is always high for world maps, but maps of specific locations typically appeal to collectors who are from or have a personal connection to that particular location. Collectors prefer large, elegant maps with a lot of scrollwork and fine decorative qualities when their aim is to frame and display the map. However, there are also many who prefer smaller maps because they are less expensive and much easier to store. In general, one could say that the most important factor in appraising an old map is its historical value. However, this is also the most difficult quality to quantify. Maps that first depicts a territory right after it was “discovered” by European explorers has significant appeal, as do depictions of major battle sites. Accuracy is typically favored. However, certain “imagined” geography, such as placing a holy city at the center of a map, or charting California as an island, also provides a unique window into the history and development of cartography and can result in high auction prices. How can you tell if an old map is an original or a reproduction? There are a few telltale signs that a map is actually a reproduction. The easiest cartography expert’s trick is to use a handheld magnifying glass to spot evidence of modern printing methods. If the ink appears to be lots of small dots sprayed over the paper, it was most likely produced with a modern inkjet printer. It would also lack the copper “plate mark” edge, indicative of older printing press methods, around the map’s image. Further proof that a map is or is not a reproduction can be found by examining the paper itself. Is it one continuous sheet, or does it have a more woven appearance? If it has a fine cross-hatching pattern similar to a rug, it was created using a “hand-laid” method, popular prior to 1800. Older maps are also often folded down the middle, because they were originally printed as part of an atlas. If your map is missing a center crease, it could be a later reproduction. How can I get my old map appraised? At Mearto, we need only a few images and some basic information about your map to determine its current fair market value. Simply submit your details through our easy-to-use form and you will be contacted by one of our experts. 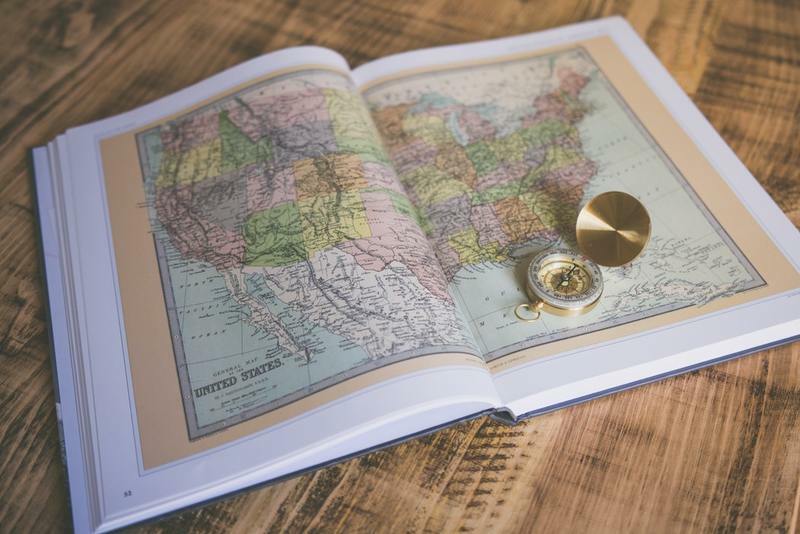 If you would like to sell your map, we are also happy to connect you with auction houses that may be interested in taking it on consignment. Please contact us to learn more!